“What do we do about our kids?” The group of parents sat together in my office, wiping their eyes. I’m a high school pastor, but for once, they weren’t talking about 16-year-olds drinking and partying. Each had a story to tell about a “good Christian” child, raised in their home and in our church, who had walked away from the faith during the college years. These children had come through our church’s youth program, gone on short-term mission trips and served in several different ministries during their teenage years. Now they didn’t want anything to do with it anymore. And, somehow, these mothers’ ideas for our church to send college students “care packages” during their freshman year to help them feel connected to the church didn’t strike me as a solution with quite enough depth. The daunting statistics about churchgoing youth keep rolling in. Panic ensues. What are we doing wrong in our churches? In our youth ministries? It’s hard to sort through the various reports and find the real story. And there is no one easy solution for bringing all of those “lost” kids back into the church, other than continuing to pray for them and speaking the gospel into their lives. However, we can all look at the 20-somethings in our churches who are engaged and involved in ministry. What is it that sets apart the kids whostay in the church? Here are just a few observations I have made about such kids, with a few applications for those of us serving in youth ministry. We need to stop talking about “good kids.” We need to stop being pleased with attendance at youth group and fun retreats. We need to start getting on our knees and praying that the Holy Spirit will do miraculous saving work in the hearts of our students as the Word of God speaks to them. In short, we need to get back to a focus on conversion. How many of us are preaching to “unconverted evangelicals”? Youth pastors, we need to preach, teach and talk—all the while praying fervently for the miraculous work of regeneration to occur in the hearts and souls of our students by the power of the Holy Spirit! When that happens—when the “old goes” and the “new comes”—it will not be iffy. We will not be dealing with a group of “nominal Christians.” We will be ready to teach, disciple and equip a generation of future church leaders—“new creations”!—who are hungry to know and speak God’s Word. It is converted students who go on to love Jesus and serve the church. Recently, we had “man day” with some of the guys in our youth group. We began with an hour of basketball at the local park, moved to an intense game of 16” (“Chicago Style”) softball, and finished the afternoon by gorging ourselves on meaty pizzas and 2-liters of soda. I am not against fun (or gross, depending on your opinion of the afternoon I just described) things in youth ministry. But youth pastors especially need to keep repeating the words of Ephesians 4:11-12 to themselves: “[Christ] gave … the teachers to equip the saints for the work of the ministry, for building up the body of Christ.” Christ gives us—teachers—to the church, not for entertainment, encouragement, examples or even friendship primarily. He gives us to the church to “equip” the saints to do gospel ministry in order that the church of Christ may be built up. If I have not equipped the students in my ministry to share the gospel, disciple a younger believer and lead a Bible study, then I have not fulfilled my calling to them, no matter how good my sermons have been. We pray for conversion; that is all we can do, for it is entirely a gracious gift of God. 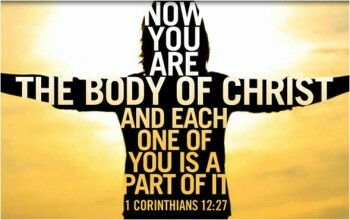 But after conversion, it is our Christ-given duty to help fan into flame a faith that serves, leads, teaches and grows. If our students leave high school without Bible-reading habits, Bible-study skills, and strong examples of discipleship and prayer, we have lost them. We have entertained, not equipped, them … and it may indeed be time to panic! As a youth pastor, I can’t do all this. All this equipping that I’m talking about is utterly beyond my limited capabilities. It is impossible for me to bring conversion, of course, but it is also impossible for me to have an equipping ministry that sends out vibrant churchmen and churchwomen if my ministry is not being reinforced tenfold in the students’ homes. The common thread that binds together almost every ministry-minded 20-something that I know is abundantly clear: a home where the gospel was not peripheral but absolutely central. The 20-somethings who are serving, leading and driving the ministries at our church were kids whose parents made them go to church. They are kids whose parents punished them and held them accountable when they were rebellious. They are kids whose parents read the Bible around the dinner table every night. And they are kids whose parents were tough but who ultimately operated from a framework of grace that held up the cross of Jesus as the basis for peace with God and forgiveness toward one another.